Having to dispute credit card charges can be a nightmare, but if you know your rights, you will be fine. All credit card users will have to dispute credit card charges some time or the other in their lives. They might get billed twice by mistake when they make purchases on their credit cards or they might purchase an item that hardly gives any customer satisfaction. In this case, disputing the credit card charge becomes necessary. Fortunately, there is some protection for customers who make purchases on their credit cards in the form of the Fair Credit Billing Act, which enables customers to withhold their payments on damaged products, incorrect bills, and so on till the dispute is resolved. If you ever find yourself in the situation of having to dispute a credit card charge, here are some tips to enhance your chances of winning the dispute. First, talk with the product or service provider as politely and courteously as possible. Usually, merchants respond favourably to this treatment and you might get the matter resolved in no time. Ensure that you keep records of the conversation you have with the merchant for future use if required. If this does not work, it is time to write a letter of complaint. Keep your letter as short, as precise, and as to the point as possible and send it to the merchant through registered post. 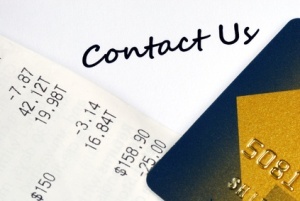 Send a copy of this letter to your credit card issuer and save a copy for yourself. This letter will serve as ample proof that you have indeed done your best to resolve the issue. You must then write a separate letter to your credit card issuer, letting them know that one of your credit card charges is being disputed. According to the Fair Credit Billing Act, you need to do this within 60 days of receiving the disputed bill. Include important information such as your credit card account number, the details of the disputed bill, the items billed, and your reasons for withholding payment. Enclose a copy of the complaint you lodged with the merchant along with any other document that makes your stand clear. Meanwhile, do not stop making purchases on your credit card and make your payments on time as usual. If you fail to do this, you will have to lose a lot of money on interest rates and penalties for late payment. Credit card companies are usually sympathetic toward their customers. They also get in touch with the merchant to get both sides of the story. Usually, they support the customer; however, if the credit card company feels that the merchant is not in the wrong, you will have to pay your disputed bill plus any extra charges accrued. If you are eager to avoid disputing credit card charges, protect yourself while making purchases by getting all the agreements in writing. Save all the receipts and get a written statement on the time of delivery, services included, and so on. Above all, know your rights and act promptly.